The G-DOCK ev Portable USB 3.0 HDD from G-Technology features two hot swappable 1TB 7200rpm hard drives. Each USB 3.0 compatible drive can be used individually or as a pair when placed in the included G-DOCK ev. When placed in the G-DOCK ev the drives can be configured in a variety of RAID formats including JBOD, RAID 0 and RAID 1. 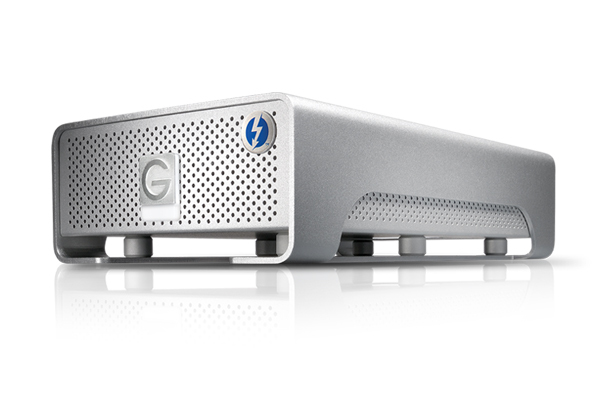 The G-DOCK ev comes equipped with dual Thunderbolt ports for up to 10Gb/s data transfer speeds as well as daisy chaining capabilities. With Time Machine compatibility you can plug this drive into your Mac running Mac OS X 10.7 or higher and begin saving and backing up your data. The RED-DRIVE™ is the workhorse of RED ONE™ digital media choices. It is both the lowest priced and highest capacity media available at this time. It is an outboard media format that can be mounted in the RED RAIL CRADLE on the camera body or RAIL system. It interfaces with the camera via the Drive Connector LEMO. The 320GB RED-DRIVE™ is made up of two 2.5″ 160GB laptop hard drives arranged in a hardware-based RAID 0. The drives are in a RAID for data transfer speeds – it cannot be reconfigured to record in a RAID 1 mirrored formatting. 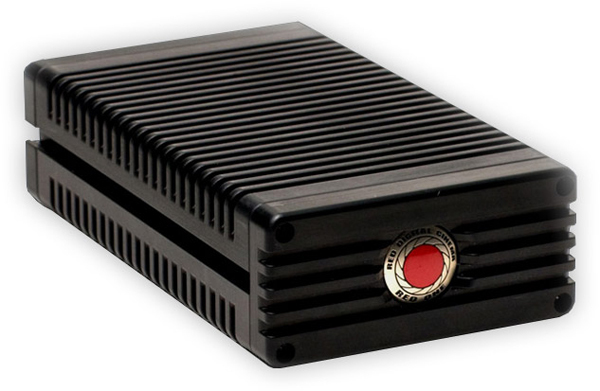 The RED-DRIVE™ is capable of recording between two and three hours of 4K REDCODE™ RAW footage. To the user, what goes on inside of the RED-DRIVE™ can be most easily explained as “magic pixies.” No matter how you look at it, storing two to three hours of 4K REDCODE™ RAW footage onadrive smaller than an ASC manual is downright unbelievable.